The fragrance of cooking food wafts from a communal kitchen as the villagers of Djoke, in the Gorgol region of Mauritania, talk about how hunger and drought took them by surprise. Gorgol, Brakna and Assaba form the Triangle of Poverty, where at least 60 percent of the population live on less than one US dollar a day. "We did not even know the rains were going to fail us [in 2011], we did not receive any warning," said Sao Moussa, a village elder. "No one can eat alone - many people do not have enough," said Moussa. "All neighbours cook and eat together. Everyone eats in batches - first the children, followed by the elders, and then the more able-bodied." Prolonged dry spells and erratic rains in 2011 have cut food production by 34 percent, which is a substantial loss. 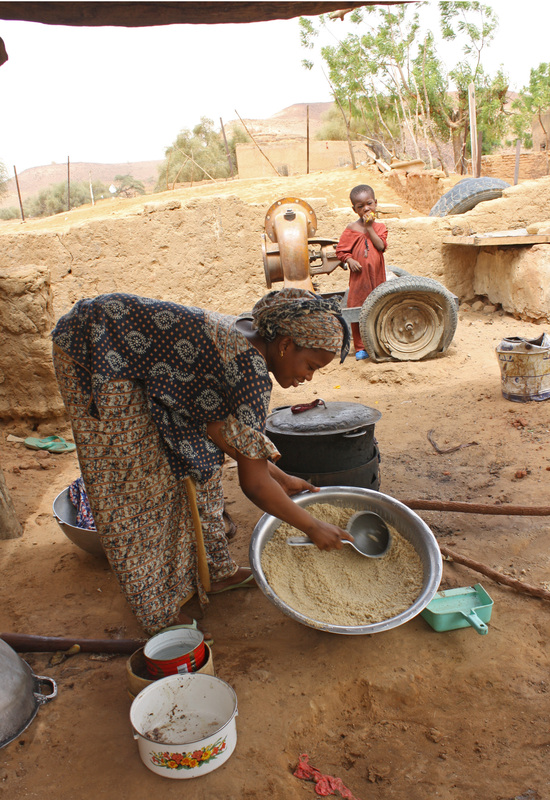 Even when rainfall is normal, Mauritania produces less than 30 percent of the food it needs. Djoke’s residents had lost 20 of their cows to hunger the day before IRIN visited the village. "We have to accept it as Allah's will, so we do not mourn," said Moussa. Though the village is located almost on the bank of the Senegal River, which separates southern Mauritania from Senegal, few can afford a pump or the fuel to run it to draw water from the river for irrigation. The few rice farmers in the village lost almost all their crops. When the rains are normal, people only resort to dipping into their cereal reserves from June/July in the following year, but by mid-2012 people have already been without food for more than three months. The Famine early Warning Systems Network (FEWS-NET) said below-normal rains are expected in southern Mauritania. In November 2011, the Mauritanian government launched the Plan EMEL (Hope), a strategy to provide subsidized cereal and livestock through government shops. "The plan only targets people who have been identified as extremely vulnerable - child- and women-headed households - and if you want to buy from the shop you still need money. I did not have any," said Penda Boubou, 82, a grandmother. Mauritania imports much of its cereal requirement from neighbouring Senegal and Mali, but worldwide the prices of cereals have begun to climb. 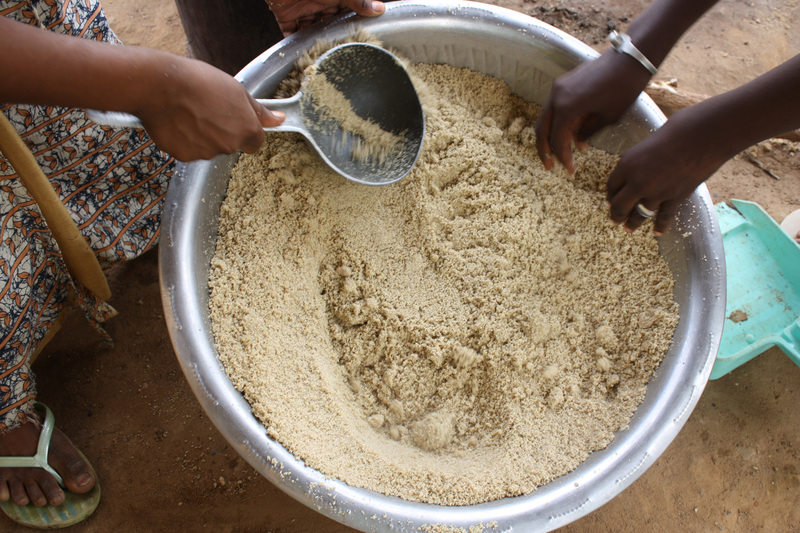 In Mauritania the cost of staple cereals has rocketed - millet is up by 50 percent, maize by 60 percent, sorghum has doubled - compared to 2011, according to the Food and Agriculture Organization (FAO). "A decrease in remittances, due to the global economic crisis and the return of migrants from Libya [who used to remit money to their families], is exacerbating the situation," said FAO. In its latest update, FEWS-NET reported that the Mauritanian government had imposed restrictions on exporting Mauritanian goods to Mali, which has also curtailed the flow of cereals from Mali into Mauritania. This is affecting the quantity of cereals available, and incomes in the border areas. Boubou said she would have died if the NGO, Oxfam, had not stepped in with cash transfers. Boubou receives about $50, with which she supports the 15 members in her household. "But I remember the drought in 1973 was a lot worse,” she said. Oxfam's Aliou Niang noted that "We do not have enough funds to help everyone - as you can see, almost the entire village is in need." At least 700,000 people - 22 percent of the population - need assistance. Oxfam was rehabilitating water points in Djoke and the neighbouring village of Diawout when the crisis struck and they responded with cash transfers. But aid agencies are under tremendous pressure and unable to respond effectively because of a lack of funds as a result of global economic problems and the crisis unfolding in southeastern Mauritania, where more than 80,000 Malians fleeing the violence in their country have sought refuge. "Several humanitarian initiatives planned for April in areas of concern have experienced delays, meaning that households in acute food insecurity have not received assistance in time to prevent the deterioration of food insecurity during the lean season," said FEWS-NET. "If humanitarian assistance does not start by mid-July, the poor and very poor areas in the agro-pastoral and rainfed-agriculture zones will be in IPC Phase 3 Crisis through September 2012," FEWS-NET warned. IPC (Integrated Food Security Phase Classification) is an analytical tool developed by FAO to provide a scale from Phase 1 to 5, indicating the nature and severity of a food security crisis. Phase 3 signals a crisis, while Phase 5 warns of famine. FAO asked for over $9 million to help more than 497,000 farmers and pastoralists with food and fodder, but had received only about $2.2 million by 6 July. Programmes related to health, water and hygiene, education, protection and advocacy have been underfunded by between 40 percent and 60 percent, said Anthea Moore of the UN Children's Fund (UNICEF). The response by UNICEF to the nutrition crisis has been constrained by a lack of funding for programmes beyond the nutrition sector. While providing treatment for severely malnourished children saves many lives, prevention is better than cure, and that requires a multi-sectoral response. "Malnutrition is caused not just by a lack of food, but a combination of factors which prevent children from absorbing and retaining the nutrients that they need. This includes poor sanitation and lack of access to safe water, which spread diarrhoeal disease and infections, lack of immunization against common childhood diseases, and lack of education in communities about good breast-feeding practices, nutrition and hygiene," Moore noted. "If UNICEF is not able to implement its multi-sectoral programmes, the impact of our response on the resilience of communities will be reduced. UNICEF and its partners are saving the lives of many severely malnourished children this year. But by building resilience now, we can ensure that fewer children are at risk in the future. It is still too early to know if this year's rains will be sufficient for a better year next year . We need to help communities to be better prepared and to be able to respond to the bad years." The World Food Programme's Jane Howard said they had been unable to buy food for school meals for around 146,000 children for a project running until 2013 as the agency has been unable to raise any of the money. In Djoke, families were queuing for food outside the kitchen. "We will all help each other,” said Moussa, “with support from our relatives in towns and other countries." La famine frappe à nouveau le Sahel.